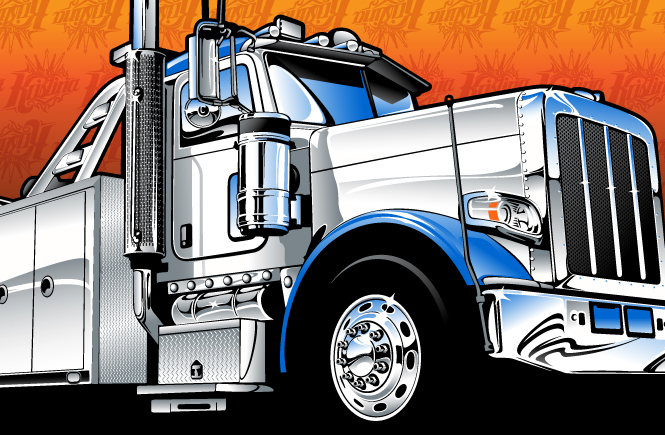 A few years ago I created an awesome Big Rig Tow Truck cartoon for a client. Little did I know that after posting the art, it would become one of my most popular (and ripped off) designs. 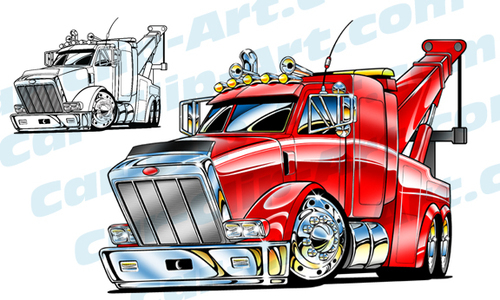 Because of that artwork, I have had the chance to illustrate a Peterbilt big rig cartoon, a Kenworth cartoon, a handful of Peterbilt Heavy Duty tow trucks, a cartooned medium duty tow truck, a Dodge light duty tow truck, a vintage Peterbilt truck, a Peterbilt Gravel Hauler, and even a Freightliner Roll-off. 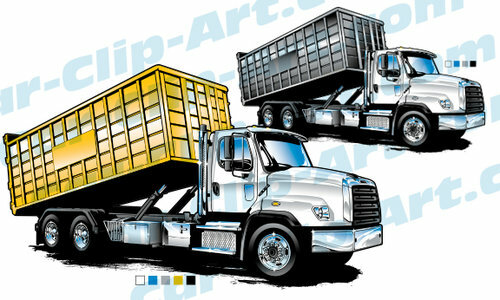 The best part is that these are all available as vector clip art or high resolution clip art – for only $30. These files are spot color and ready for screen printing, business cards, man-cave art – whatever you want. 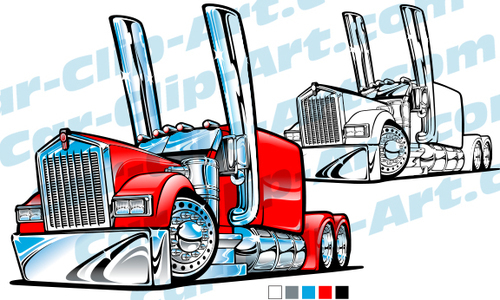 Kenworth Cartoon Vector Clip Art? 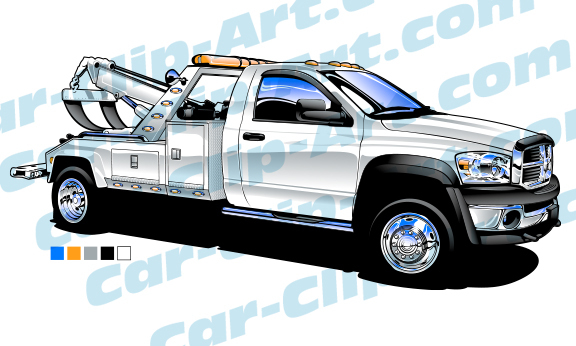 Now for the realistic illustrations! 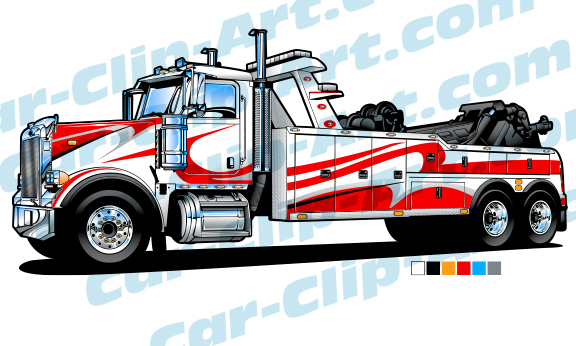 Peterbilt Heavy Duty Tow Truck Vector Artwork – this one’s from a cool, low angle. Lots of shine! 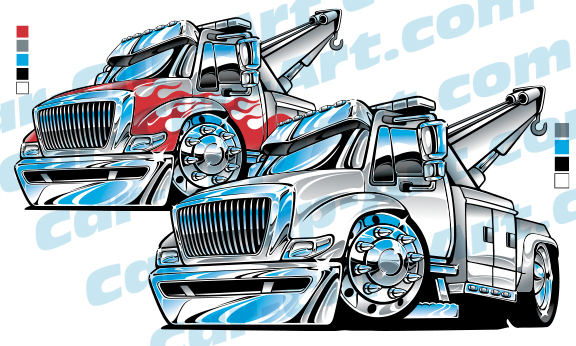 Peterbilt Heavy Duty Tow Truck Clip Art – This one has some cool custom graphics! 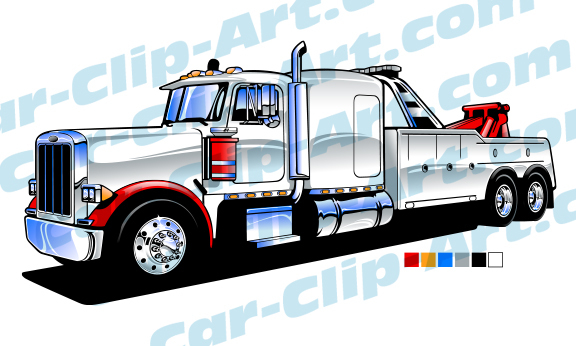 And yet one more Peterbilt Heavy Duty Tow Truck Vector Clip Art file – This one’s got a sleeper cab on it! 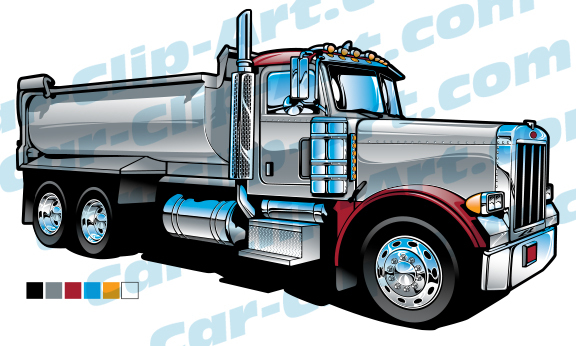 Need some Peterbilt Gravel Hauler Vector Clip Art? Here you go! 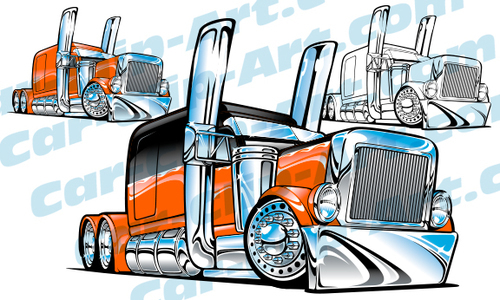 Have a design that needs Freightliner Roll Off Vector Art? No worries! 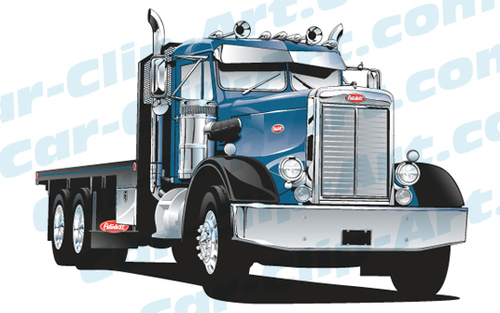 And last but not least (for now) – here’s a clean and classic 1968 Peterbilt Vector Clip Art file for you! 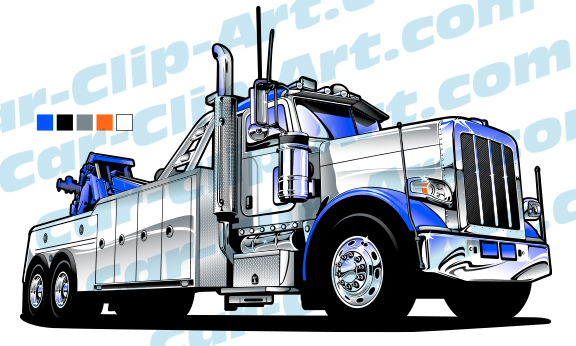 There’s not just big rig clip art for sale – lots of hot rod vector art, street rods, custom and classic trucks, Mustangs, Camaros – Check them all out at Car-Clip-Art.com!